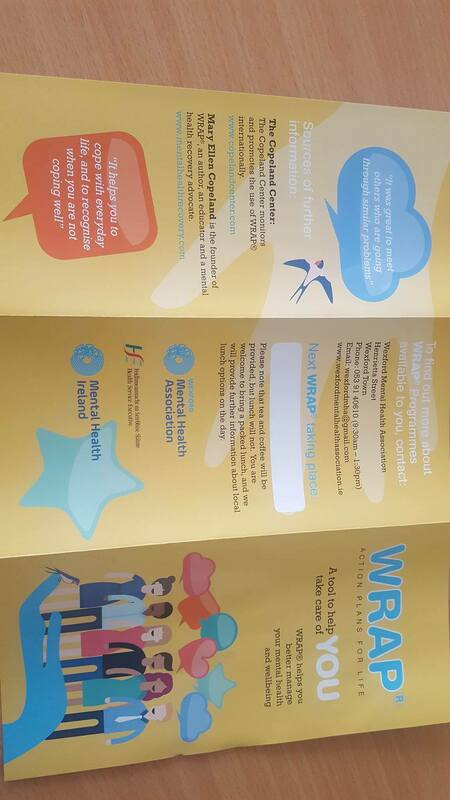 Wexford Mental Health Association is delighted to announce that we have three upcoming WRAP courses within the next Month. 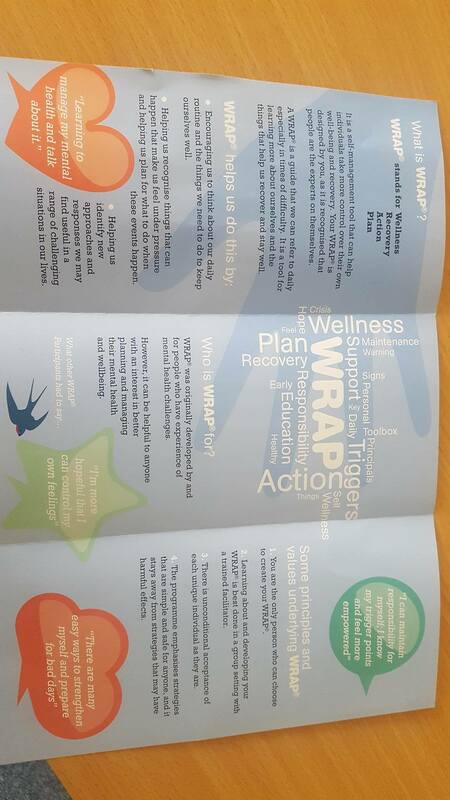 WRAP is a self management tool that can help individuals to take more control of their well-being and recovery. It is a tool for learning more about ourselves and the things that help us to recover and stay well. See attached leaftlet with further details. Enniscorthy 27th and 28th August – 9.30am to 4.30pm each day.